HIGHLY UPGRADED, MODEL-LIKE CORNER UNIT. GREAT VIEWS FROM FLOOR TO CEILING WINDOWS. 9' CEILINGS. GRANITE COUNTERTOPS. 42" CABINETS. GRANITE BREAKFAST BAR. HARDWOOD FLOORS. CUSTOM HIGH END TILE. DESIGNER LIGHTING. CUSTOM WINDOW TREATMENTS. PRE-WIRED FOR SPEAKERS. HUGE PRIVATE BALCONY. IN-UNIT W/D. SLATE FIREPLACE. TANDEM (2 SPACE) PARKING FOR $45K. PETS=OK. 435 W Erie #1408 Chicago, Illinois 60610 is a condo property, which sold for $418,000. 435 W Erie #1408 has 2 bedroom(s) and 2 bath(s). 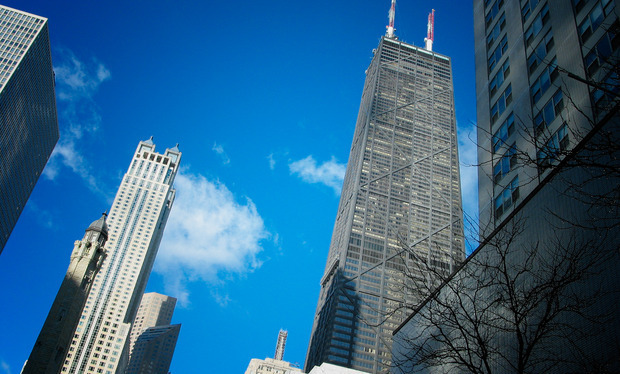 Want to learn more about 435 W Erie #1408 Chicago, Illinois 60610? Contact an @properties agent to request more info.